A beautiful array of pastel colored 6mm Swarovski crystals plucked right from the garden, sterling silver seamless beads and Bali dotted edge spacers complete this design. 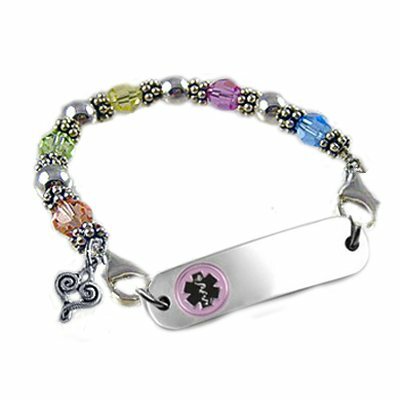 No need to wear a plain Jane medical bracelet when you've got a style like this! No further discounts on this laser engraved product.